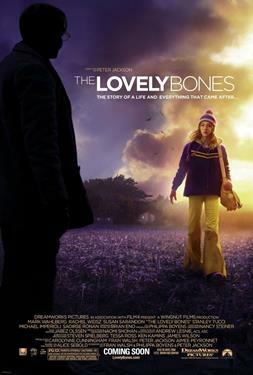 Based on the critically acclaimed best-selling novel by Alice Sebold, and directed by Oscar® winner Peter Jackson from a screenplay by Jackson & Fran Walsh & Philippa Boyens, "The Lovely Bones" centers on a young girl who has been murdered and watches over her family - and her killer - from heaven. She must weigh her desire for vengeance against her desire for her family to heal. Oscar® nominee Mark Wahlberg and Oscar® winners Rachel Weisz and Susan Sarandon star along with Stanley Tucci, Michael Imperioli and Oscar® nominee Saoirse Ronan.